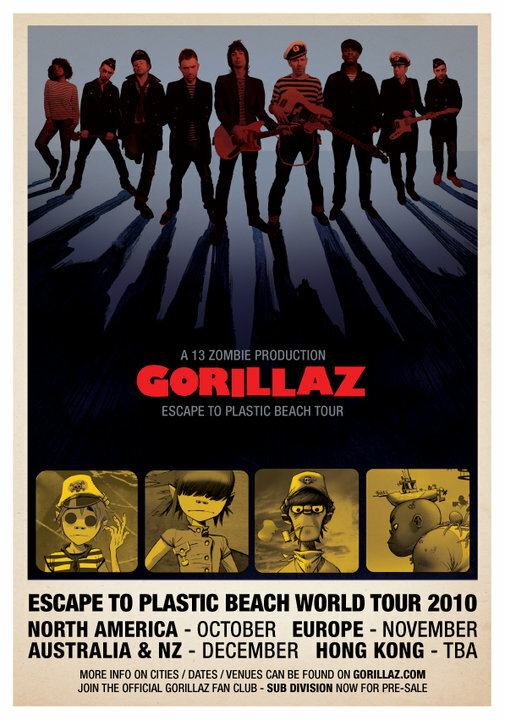 The first date of the Escape To Plastic Beach world tour. Storyboard for the cancelled "Rhinestone Eyes" video premiered. Hypnotic Brass Ensemble and Kano were not present. 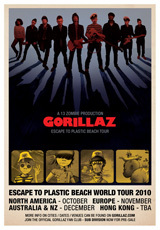 During the North American leg of the tour, Gorillaz recorded The Fall studio album. One song was recorded in each city.